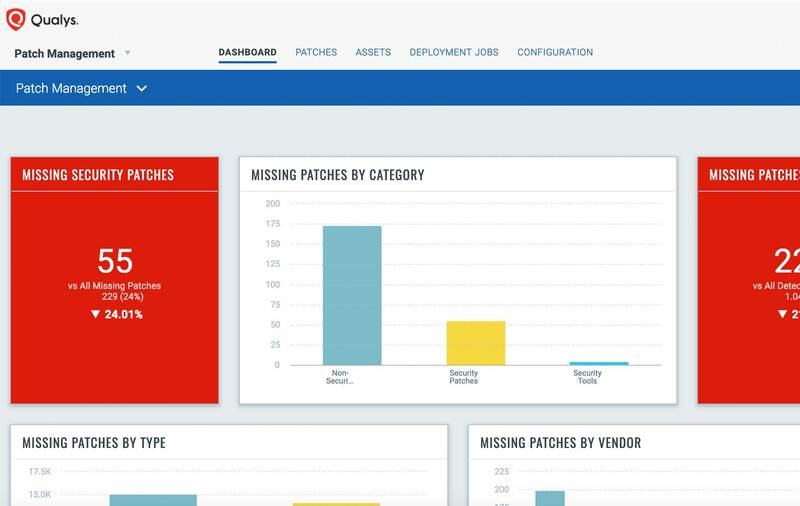 Patch Management | Qualys, Inc. Streamline and accelerate vulnerability remediation for all your IT assets. Patch management is a critical and time-consuming task that many organizations struggle to do well at the pace and scale required today. Qualys has built an impressive platform to help organizations automate the full lifecycle of discovering, prioritizing and now remediating vulnerabilities on a global scale. Qualys PM lets you automatically correlate vulnerabilities and patches, increasing your remediation response time. Qualys PM does this by indexing patch data with vulnerability information. That way, when the patch team enters a CVE in Qualys PM’s search engine, they get a list of all the required patches and can deploy them. 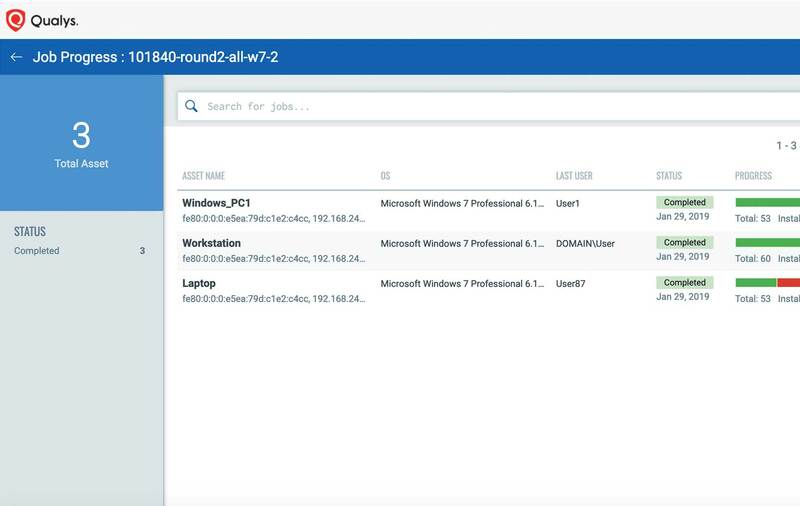 Because Qualys PM uses the Qualys Cloud Agent, it deploys patches wherever an agent has been installed, including remote systems and public cloud assets. Essentially, anywhere you can put the Qualys Cloud Agent, you can put Qualys PM. 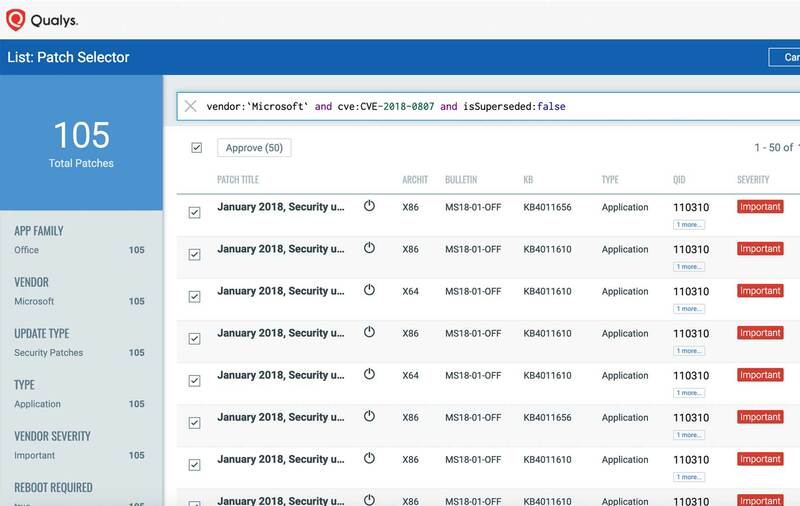 Qualys PM is part of a full, consolidated breach prevention stack that also includes apps for asset inventory, vulnerability management, and threat prioritization, all integrated, cloud-based and sharing the same data. 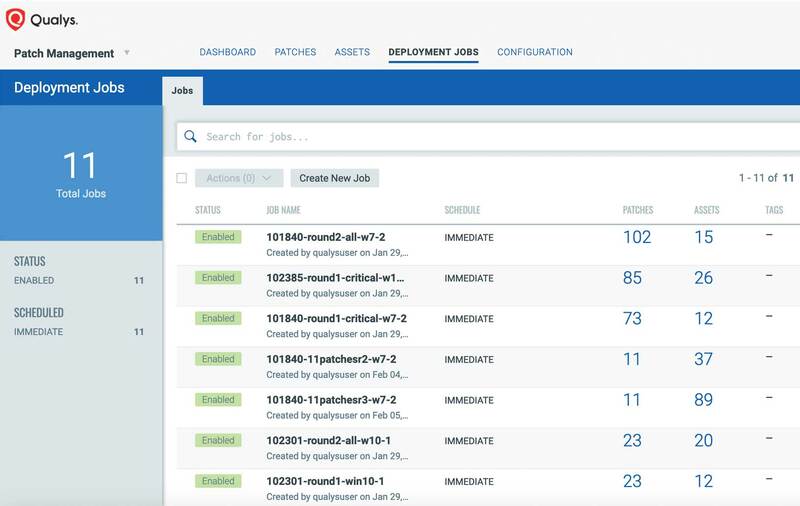 Qualys PM can be used to patch operating systems and applications from different vendors, all from a central dashboard. That way you don’t have to manage patches in silos via multiple vendor-specific consoles. 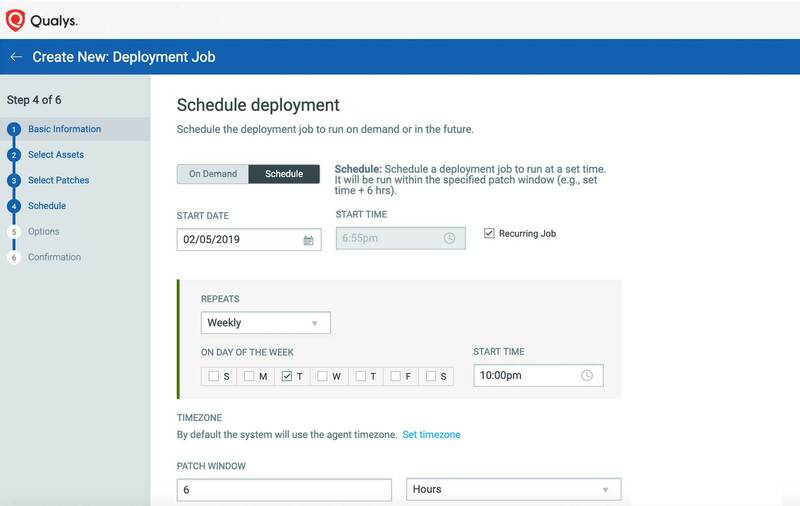 No need to wait for a weekly or bi-weekly vulnerability management report to find out if the latest deployed patches worked properly – or if they need to be re-deployed. 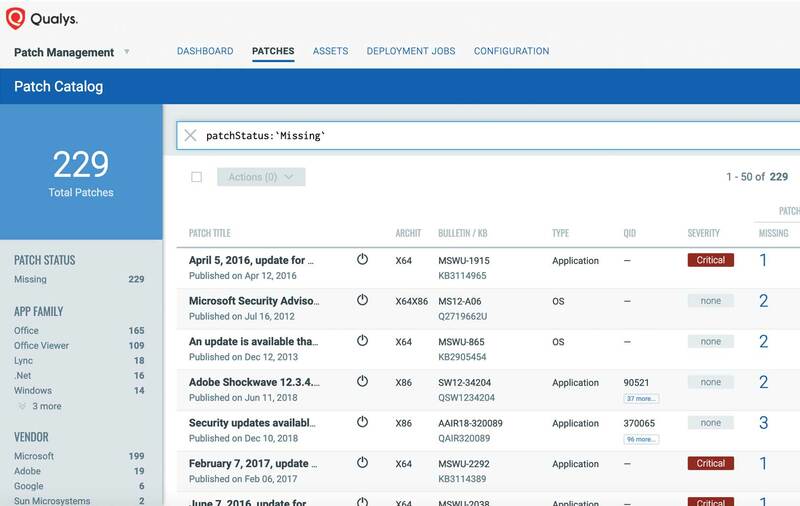 With Qualys PM, patch deployments can be tracked on demand from its central dashboard using the search engine, and results filtered and narrowed using different criteria.